AppsPubliser is a venture of IndiaNIC LLC to empower Publisher / Author and creative people to distribute knowledge through Mobile devices and make the books available to new mobile reader market which ensures generation of new revenue streams from a world that is increasingly connected via their mobile. 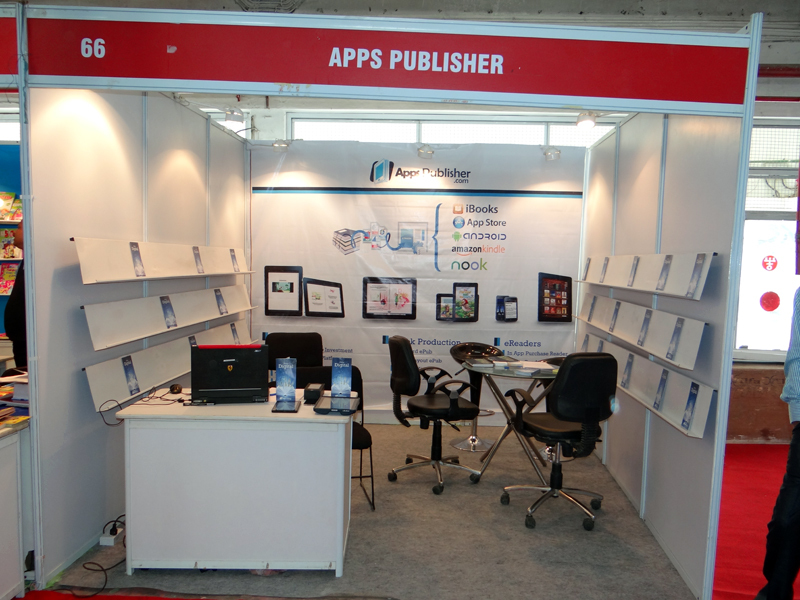 AppsPublisher is appearing Wold Book Fair, 2012 (Hall 1, Stall No# 66) held at Pragati Maidan Delhi. The whole India publishing industry taking part in it and it’s been pleasure to have all publications, distributors at one place.Here are some of the snaps of the venue and our stall. Nice ! , Best wishes and update us your experience. Congratulations.!!! to all team members. It is really admirable. Please share your experience with us as well. Kudos to team indiaNIC. Great going.. Keep it up..
Good Job Team, very proud of you 🙂 keep it up.